A fun to make and eat cookie (looks like a rainbow) looks perfect on a cookie tray, such a great colorful cookie. 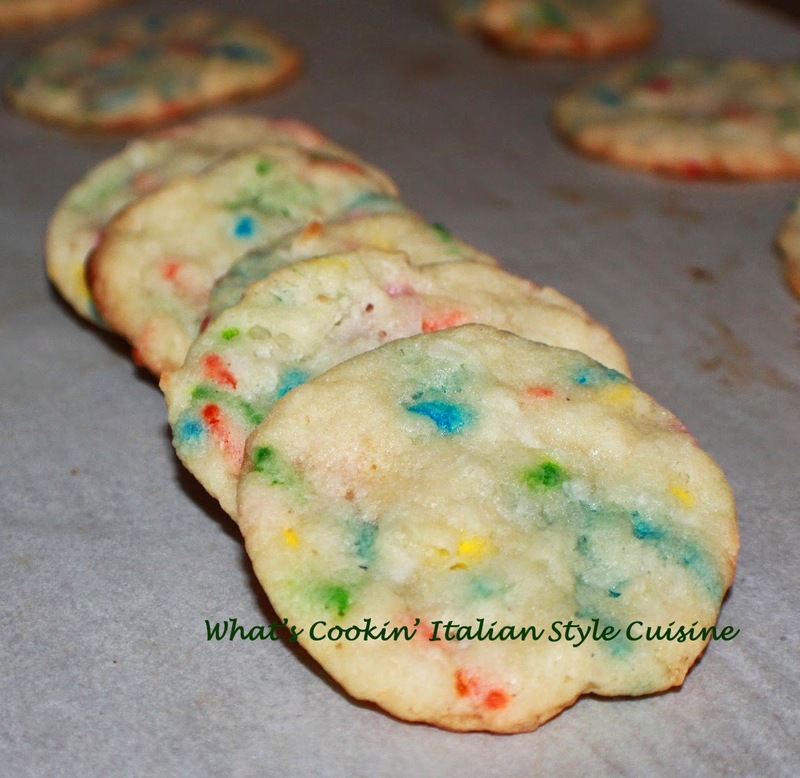 Sugar cookies with a rich buttery coconut funfetti flair! Beat and cream the sugar and butter together. Add all the rest of the ingredients except for sprinkles and coconut. Fold them in the end. Preheat oven to 350 degrees. Roll into balls, place on a parchment paper and bake for around 8 minutes until set. Cool before removing from pan. Want an easier recipe? Try using a funfetti cake mix get the recipe here!